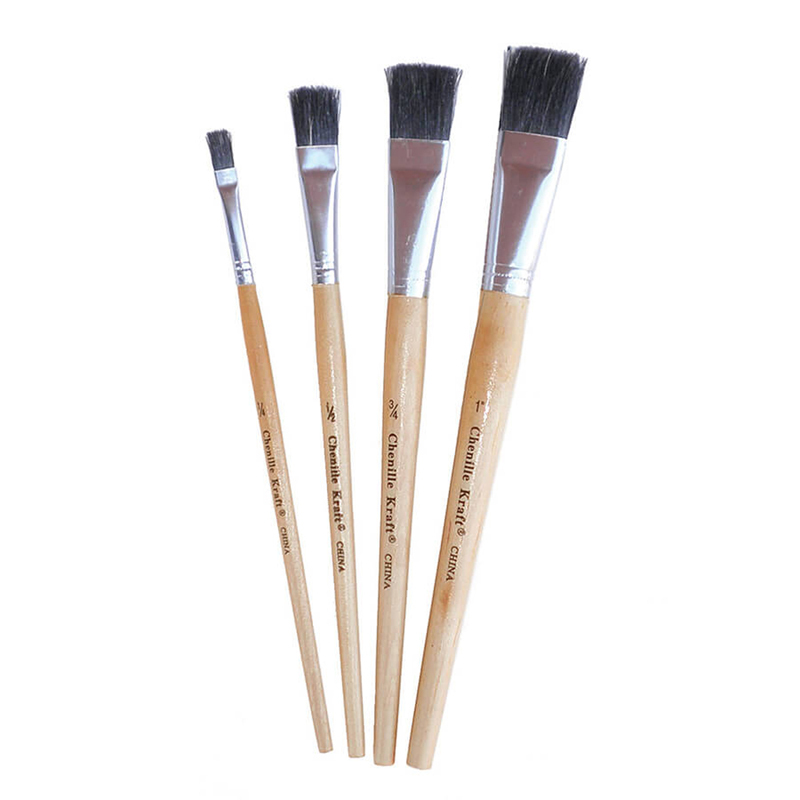 Round stubby brushes feature brightly colored 7-1/2" plastic handles. Natural hog bristles held in seamless aluminum ferrule. 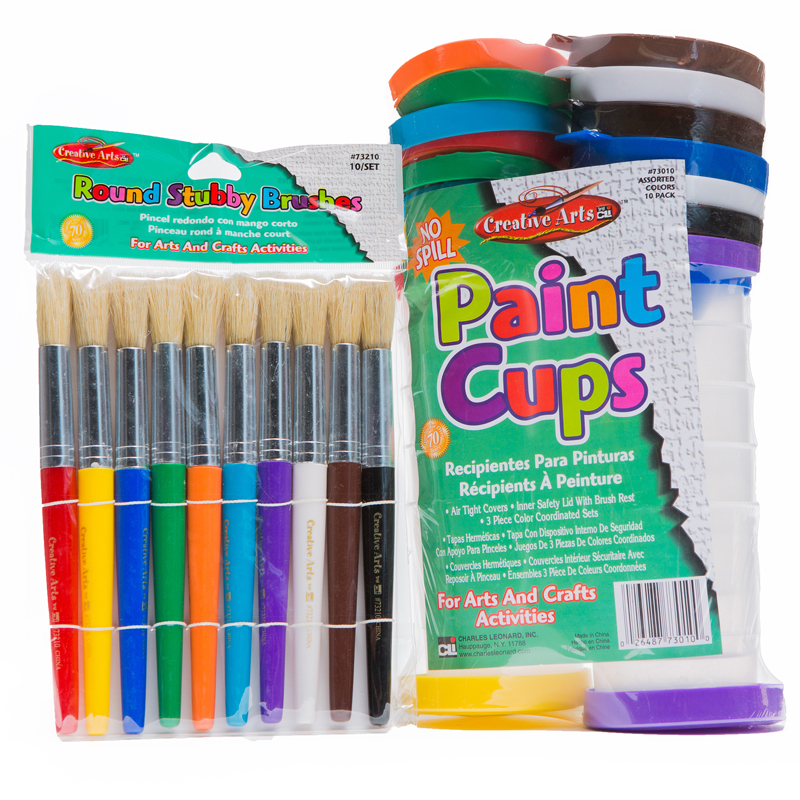 Color coded to match Creative Arts™ spill-proof paint cups. Colorful coordinated plastic 3-piece cups feature inner lid with brush rest and attached cap for an air tight seal. Ideal for matching colors of paints to brushes. Colors include: Red, Yellow, Blue, Green, Orange, Brown, White, Black, Purple and Turquoise. Each set includes (10) brushes and (10) 3-piece paint cups. 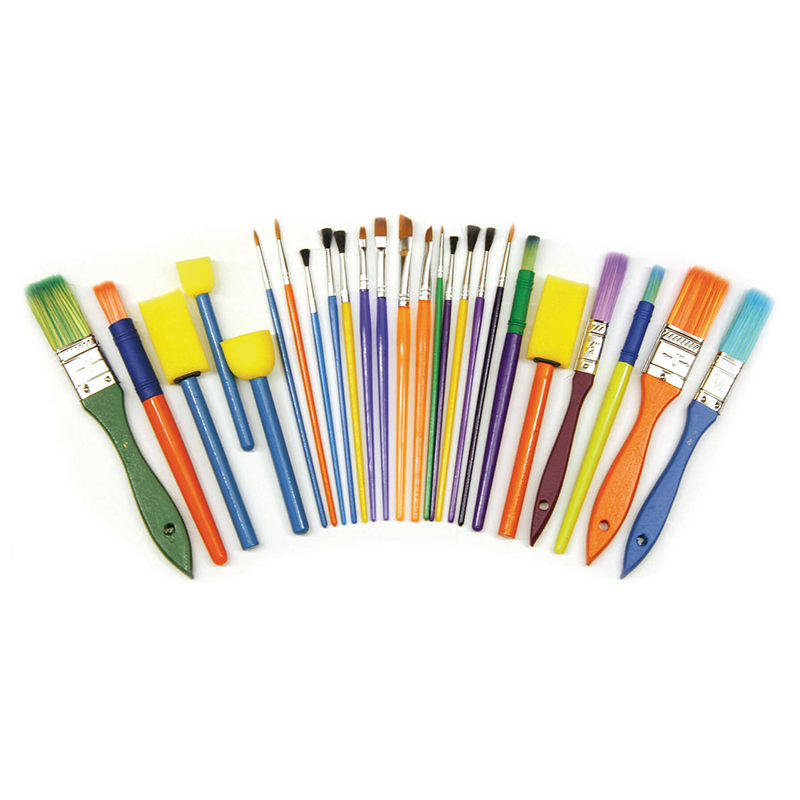 The Stubby Brushes And Paint Cup 10/st can be found in our Paint Brushes product category within the Arts & Crafts.